This year’s El Niño weather event has intensified dry conditions in both Indonesia and Brazil, providing ideal conditions in the normally wet tropics for fires to burn unchecked. The severe fires that have been ripping through Indonesia’s forests have rightfully been a focal point for international media this year, as reports of ecological disaster, innumerable greenhouse gas emissions and a looming health crisis filter through the haze that has covered vast swaths of the archipelago nation. However, another tropical region half a world away is dealing with its own serious blazes. Yet, even as world leaders convened in Paris for the United Nations conference on climate change, the fiery situation in the Amazon is getting little airtime. Erika Berenguer and Jos Barlow, researchers associated with Lancaster University in the United Kingdom, wrote recently of the “exceptional” fires they have witnessed in the rainforest around Santarém, a city located in the state of Pará on the south bank of the Amazon River. 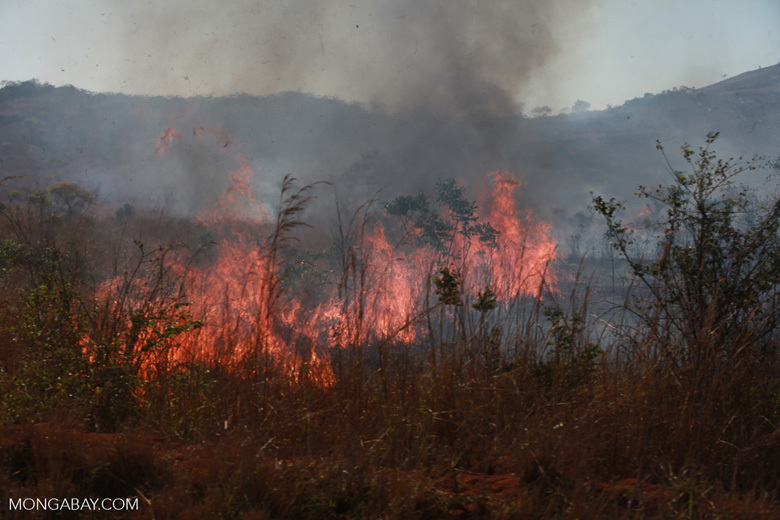 In their post, Berenguer and Barlow pointed out that in November alone, a total of 18,716 fires were reported in the Brazilian Amazon. Small farmers attempting to clear land for agriculture usually start these fires, but often the blazes escape their intended area and seep out onto other forests. Satellite data from Global Forest Watch show a total of 2,031 fires in the region shown in just the past week (Dec. 7-14). Many of these occurred along the banks of the Amazon River near Santarém, typified by lush rainforest not adapted to burning. This year’s El Niño weather has intensified dry conditions in both Indonesia and Brazil, Berenguer said, providing ideal conditions in the normally wet tropics for fires to burn unchecked. “Most of the fires are just allowed to burn until they die off. However, certain protected areas count with fire brigades and in those few cases the fires are fought, but given that it is so dry the fire brigades have been struggling,” she told Mongabay in an email. 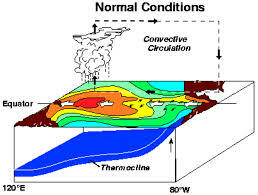 Unfortunately, she added, the local and federal government in Brazil made close to no preparations ahead of this year’s El Niño, despite the fact that scientists had warned of the effects that the weather pattern might have on the tropics. Though it remains unknown how long it takes rainforests to fully recover from fires, a report by Barlow published in 2002 found that fires could kill up to 50 percent of larger trees, as well as small-stemmed trees. This in turn opens up areas of the rainforest canopy and permits more light and wind to reach the forest floor — paving the way for more fires to burn. Brazil has cut back its emissions caused from tropical deforestation, after releasing an average of 1,066 million metric tons of carbon from 2001 to 2013, nearly 47 percent of the global total. From 2004 to 2009, however, the country reduced its emissions from 1,060 million metric tons to 482 million metric tons, a feat considered a huge achievement by climate scientists. Still, Berenguer said, the reality on the ground paints a less optimistic picture for the future. According to the forest monitoring system Global Forest Watch, Brazil lost 2,262,241 hectares of tree cover in 2014 — Pará, located in the Amazônia Legal division – a grouping of the nine states that make up Brazil’s Amazon Basin – lost 473,843 hectares alone. Fires are often used to clear land for agricultural purposes. Photo by Rhett A. Butler. “Slash and burn” techniques are used around the world to convert forests and other ecosystems to cropland and pasture. Photo by Rhett A. Butler. Like in Indonesia, Barlow and Berenguer noted that the smog is having a negative effect on health in Amazonian cities: the duo noted that 12 cities declared states of emergency in October. Add that to the fact that many species living in the forest are threatened due to the fires, and the severity of the situation comes into focus. A study published in Nature Geoscience earlier this year found reduced deforestation in the Amazon correlated to 1,700 fewer human deaths. 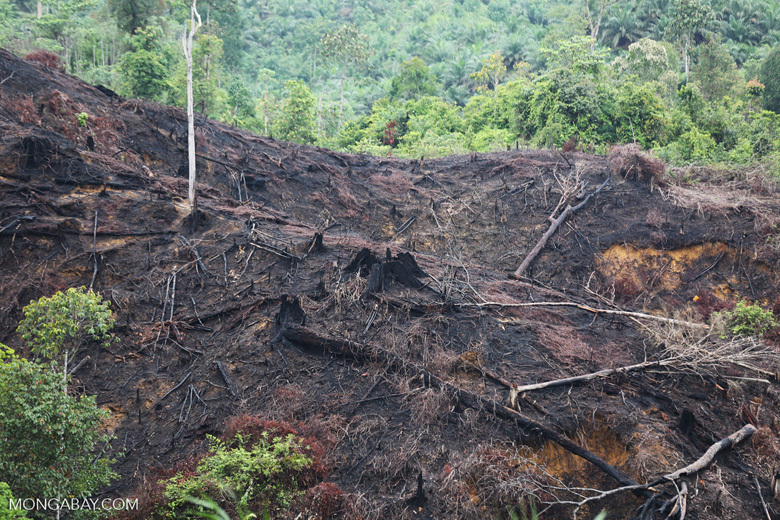 But data from the Brazilian government indicate deforestation may once again be on the rise in the country. Berenguer stressed the need for global leaders to take action against forest fires if they’re serious about limiting global warming in a meaningful way, given how important tropical deforestation is in the conversation surrounding climate change.